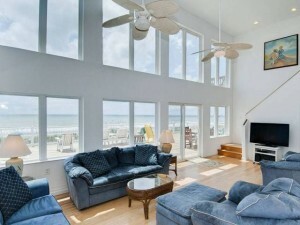 When you think of Emerald Isle, the first thought that comes to your mind is usually the unforgettable beaches. But with this week’s feature property Little Annie, you may want to spend more of your time indoors enjoying the breathtaking ocean views. 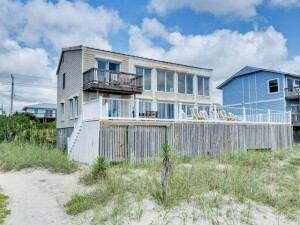 Little Annie is a bright, open, and spacious two-story oceanfront cottage with 4 bedrooms, each with a private bath, and an additional ½ bath, for over 1,500 sq. ft. of living space. 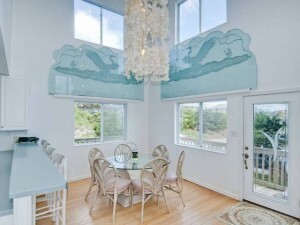 It is nicely decorated with coastal décor that extends as high as the 17’ cathedral ceilings in both the living and dining room. Above the dining table, which seats 6, is an exquisite shell adorned chandelier that compliments the beachy ambiance of the home. 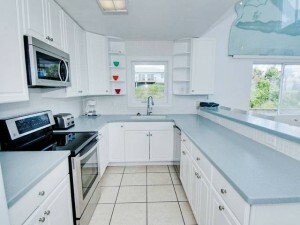 You can sit an additional 4 guests at the bar that overlooks the cozy kitchen with plenty of counter space for preparing meal after meal.  For your entertainment, there are 5 flat screen TVs and DVD players throughout the house, as well as a stereo/CD player and wireless high speed internet access. 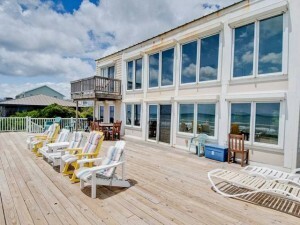 Outdoors, you’ll find one of the largest oceanfront decks in Emerald Isle. There is ample seating in a variety of setups for lounging and even dining alfresco. Take advantage of cooking outside as well with a gas grill, as well as an enclosed hot/cold outside shower for rinsing off upon returning from the beach. 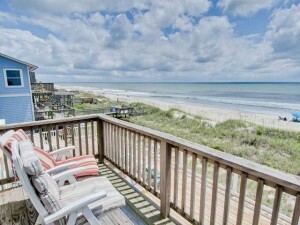 With stunning ocean views from inside and out, plus an ideal location that’s close to restaurants, shops, and the North Carolina Aquarium at Pine Knoll Shores, Little Annie is one of the best rentals in the area. Additionally, you can save 10% off of your rental at Little Annie by using our Spring Savings Discount promotion. Just stay a week with us this spring to receive the discount. 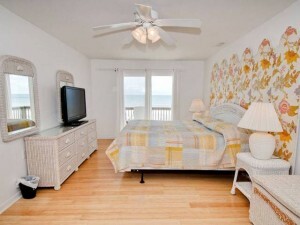 Find out more about the promotion and view additional photos of this lovely oceanfront cottage.